SPN Pilates is a modern, upscale studio offering a fast-paced Pilates-based workout that combines strength training with calorie-blasting cardio. SPN offers the Spinning® indoor cycling program, as well as a Pilates/Spinning® combination class nicknamed CPR (Cycling, Pilates, Resuscitation). SPN Pilates also offers nutritional counseling/planning. Located at 26777 Agoura Road, Unit B2, Calabasas. For more information, visit www.spnpilates.com. Wundabar Pilates offer deep, "local" muscle activation through its patented WundaFormer system. WundaBar combines the Reformer, Wunda Chair, Ballet Bar and Jump Board into the patented WundaFormer machine. Athletic Society Westlake Village is the former Spectrum Club which became The Bay Club. The facility offers state-of-the-art workout equipment, basketball, volleyball, racquetball, swimming pool, studio classes and much more. Located at 2400 Willow Lane. Visit www.athleticsociety.com to learn more. Pilates Plus Thousand Oaks offers the 40 minute SPX fitness workout, designed to strengthen, tighten and tone your body quickly and safely. Pilates Plus' full-body workout incorporates the principles of Pilates, strength training and cardio to keep your heart rate up and push your muscles to exhaustion.﻿ For more information, visit pilatespluswv.com or call 805.778.1514. 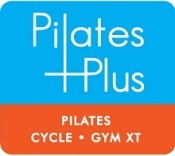 Pilates Plus is now located at 2845 E. Thousand Oaks Boulevard, Thousand Oaks. Malibu Gym, at 28955 Pacific Coast Highway (corner of Kanan), is the largest fitness & training facility in Malibu. Equipment includes bikes, stairmasters, treadmills, free weights and more. Malibu Gym offers a variety of aerobics fitness classes from beginner to advanced. The aerobics studio is equipped with a spring loaded floor designed to absorb shock. Classes are instructed by certified aerobics instructors offering the latest and popular specialty classes such as Cardio Kick Boxing, Spinning, Yoga, Cardio Jazz and Body Sculpting. A core fitness & exercise studio offers daily yoga classes and mat Pilates and group reformer classes. For more information, visit www.malibugym.com or call 310.457.2450. Pilates with Passion is located at 2311 Tapo St. Unit E., Simi Valley. This studio offers pilates, yoga and more. For more information, visit www.pilateswithpassion.com or call 805.581.1280. B Real Fitness is located at 2440 Las Posas Road, Suite A in Camarillo. This facility, which opened in October 2011, offers over 70 classes using TRX, Real Ryder Cycling, and Velocity Sport Performance programs. Classes include boxing, kettleball, barre, yoga, pilates, sculpting, Zumba and more. Visit www.brealfitness.com or call 805.383.3700 for more information.